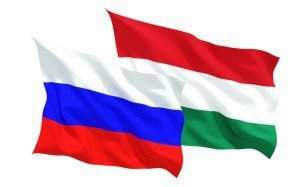 Budapest, April 30 (MTI) – Prime Minister Viktor Orbán defended Hungary and the position of the government on all matters at meetings of the leaders of the European People’s Party (EPP) and the European Council in Brussels on Saturday, cabinet office chief Antal Rogán said on public radio on Sunday. Hungary maintains its right to have a difference of opinion or take a different position on certain questions, Rogán said on Kossuth Radio. “If necessary, we will even undertake legal proceedings,” he added. 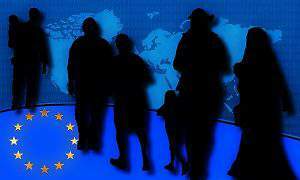 Immigration is the most important issue for the government: it believes no European Union member state should be forced to take in immigrants, Rogan said. He said the EPP is the strongest group in the European Parliament at present, and Fidesz will remain part of it, in spite of George Soros’s “lobbying” to exclude it. He noted that Soros had been welcomed by a number of heads of state in Brussels, evidence of his influence there. “There certainly are European bureaucrats and politicians that openly represent George Soros’s views and George Soros’s interests,” he added. In his Saturday’s press conference, Head of the Prime Minister’s Cabinet Office Antal Rogán announced that the government was willing to give in to the EU’s and the European People’s Party’s pro-migration arm-twisting and was going to admit 14-18-year-old migrants to Hungarian territory – as long as they undergo a DNA test. 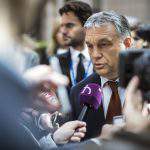 Although it is very unfortunate, it hardly comes as a surprise that the public radio’s “Sunday Paper” programme did not dare to ask Mr Rogán to explain the Hungarian government’s U-turn in migration policy. Jobbik did not back the bill to tighten legal border security in early March just to see Viktor Orbán kneel before Brussels’ bureaucrats! 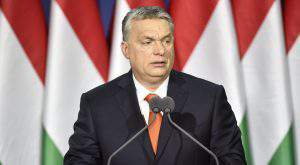 We consider the Orbán government’s capitulation as treason because it means that the 3.3 million anti-immigration citizens, who either voted NO in the referendum or did not cast their ballots due to Fidesz’ Bolshevik-type arrogant governance but nonetheless reject the idea of migrants settling in Hungary, were all spat in the face. Jobbik calls upon Viktor Orbán to explain his high treason in the Parliament’s Tuesday session. Jobbik will re-submit its Constitutional amendment which, if passed, would allow neither poor nor rich migrants to be settled in Hungary. Thank you, Viktor. I think this Soros guy is gonna get dismissed pretty soon when the folks around the world wake up and this is starting to happen. He and his minions are active in my home town in New York and people are noticing. Even though he may have good intentions, he is acting beyond the scope of his authority since he has no accountability. I believe in self – determination! God bless you and God bless Hungary!